Mylar Film on a 50' wide by 50' roll. A reflective and moisture barrier sheeting. 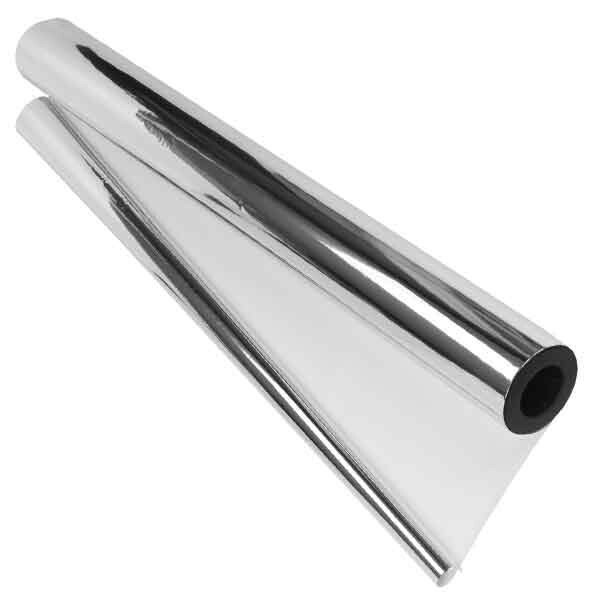 Our Mylar Sheeting is made from VMPET 2 mil film which is a Metalized moisture barrier and reflective film. VMPET reflects about 98% of light and provides a good moisture barrier protection. It's tear and puncture resistant (unlike tin or aluminum foil). This material is used by the Military, NASA, and Industry for moisture and light barrier properties.